Nothing ruins a vacation more than rude people, and the last thing you want to do is start your trip on a bad note. When you’re looking for a good parking location, look for a company with friendly staff members who will treat you with respect and a give you a smile. At Value Parking, we pride ourselves on our friendly and caring customer service, and you can bet we’ll be cheery and helpful, no matter what time of day it is. If you’re already paying to park in an off-site parking lot, you shouldn’t have to pay for a shuttle to take you to the airport. Make sure that whatever airport parking location you choose offers a free shuttle service both to and from the airport. If your flight is delayed and you don’t arrive back home until the middle of the night, you shouldn’t have to worry about whether you’ll be able to pick up your car or not. At our EWR Airport parking company, our office is staffed and our shuttles run 24 hours a day, 7 days a week, so no matter what time you need to be at the airport or back at your car, we’ll be there for you. Parking at Newark Airport can make many people anxious; if someone breaks into your car, the airport is not responsible. Put your mind at ease and choose a parking location that has a video surveillance system, a gated lot, and staff members who regularly patrol the area. You won’t have to worry about coming home to a stolen or damaged car. When traveling, we know that timing is very important. That’s why we’re located just a few minutes from Newark Airport. You can count on us to get you to and from the airport fast. This is perfect for both long and short term parking at EWR Airport. By the time you return from your trip, your EWR Airport parking space can end up costing you a lot more than you anticipated. 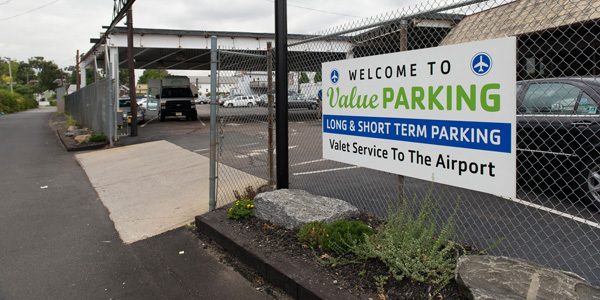 Skip the high prices and choose an affordable parking location like Value Parking.